The United States of America believes in a free market system and capitalism. This operates when there is fair competition which involves companies to create different features or lower prices of their products. However, certain industries can avoid detection and create a monopoly. This is what is forming for the Epipen industry and needs to be stopped. 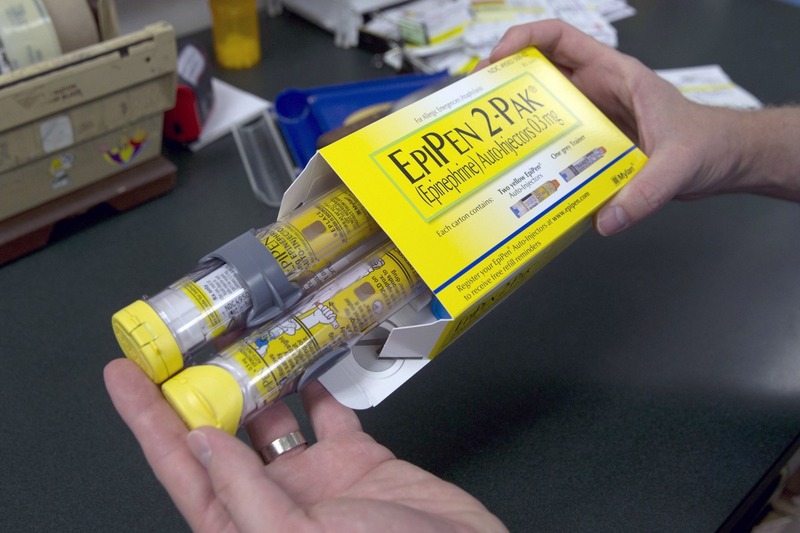 EpiPens are an item used for people with severe to life-threatening allergies. EpiPens save lives from allergic reactions and are necessary for people with allergies to have within reach. This usully means one EpiPen with a school nurse, one EpiPen with the student and a pack at home. According to the Washington Post, the EpiPen manufacturer, Mylan, has increased the price for their product by nearly 500% since 2007. Today the cost of a two pack is $608. This has caused massive public outcry. All Saints’ mom, Mrs. Zak, commented based on having a daughter with a severe alllergy. “It’s terrible, so many people who need it won’t be able to afford it,” Zak said. “I can’t imagine how horrible it would be not to afford one for my daughter.” For the average American, this is a huge cost to pay for a medical necessity. The company has attempted to offer alternative options such as financial aid and coupons, but the majority of news stations believe this is just an act of public relations to calm the storm. One would think based on the capitalistic system that these hikes would be unsuitable. Heather Bresch has been linked to multiple accusations over the last few years. Gayle Manchin, the mother of Mylan’s CEO and head of National School Boards Association, pushed to have EpiPens a requirement for students at school. To further this scandal, Bresch’s father, Joe Manchin the governor of West Virginia, helped his wife and daughter in 2010 by creating a law in West Virginia requiring students with severe allergies to have an EpiPen at school. He continues to vote in the senate on behalf of West Virginia with his family agenda first. These acts have virtually created a monopoly. The product has not increased in technology and thus has little argument for increase in their prices besides having the confidence to raise the prices and not expect a huge drop in the consumer’s buying rate. This completely trumps the whole system of capitalism. It is disgraceful that the government and lawmakers have not realized this increase in pricing and have not stepped in to act accordingly to prevent monopolization of the industry.